Our Migration Seminar is a great opportunity to speak to migration professionals for Australia! Have one-on-one discussions with the various migration experts on the day. These seminars are to educate you on visas and employment opportunities in Australia. Employers from Australia will be at the seminars and you will also receive access to the amazing DUC Employment Hub offering invaluable relocation assistance. The DUC has run plenty of seminars for Australia and New Zealand migration as well as hosting events for employers. We make the day informative and fun, giving you an opportunity to have all your questions answered by our amazing DUC team and partners! Joining us at the seminar! Smart Teachers is a part of Tes, the Times Education Supplement. An established teaching agency with offices in Queensland, New South Wales, and Victoria, Smart Teachers aims to help overseas teachers find contracted and permanent work in Australian independent schools. Our experienced recruitment teams, most of whom have a background in education, offer an engaging and professional service tailored to you. Australian Nursing Agency (ANA) was established in 2000 and since then has established an enviable reputation as one of the most professional and reputable nursing agencies in Australia. It conducts international recruitment of nurses travelling to Australia who wish to work whilst travelling around our beautiful country. PSS International Removals are specialists in shipping international removals and excess baggage and have been doing so for over 31 years. They believe in providing a friendly and professional moving service to every customer, which is one of the reasons why they are known as the UK’s 1st choice for international removals. Global Reach is a leading currency specialist, helping customers make quick and secure money transfers around the world every day. Whether you’re looking to buy a holiday home abroad, emigrate overseas, or are temporarily working in another country, Global Reach can help you maximise your currency transfers. 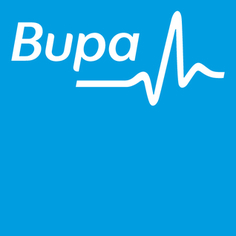 Bupa take pride in delivering high quality health cover that is affordable and represents real value. They have a range of healthcare services to help all members live a healthier life. Not just when they’re unwell but when they’re absolutely fine too. These include a number of health insurance options to meet the needs of overseas visitors to Australia on working and non-working visas. Mobile Testing Solutions (MTS) is a dynamic exam services company, and online language school, based in London. MTS offers regular, affordable IELTS tests in twelve cities across the UK and Ireland. MTS also offer IELTS preparation courses, run by some of the best English language teachers in the UK. Use this tool to find out if we have vacancies available for your occupation in Australia and New Zealand. These jobs are added by employers currently on the DUC Employment Hub and are constantly being updated! "The DUC Seminars are perfect. Real advice from professionals, real employers to chat to. The education employer was so helpful and friendly!" "We attended a DUC seminar, best thing we have done in the process. Our visa is now lodged and we've had a job offer already! Massive thanks to the DUC team"
“I have known Wes Zandt for a number of years and met him around the time that the Down Under Centre was just starting out and see him now as a personal friend to both my wife and I. He gave me a lot of helpful advice and guidance to start my family and I on our own personal emigration journey, I was lucky enough to work with Wes Zandt a few years ago so to see the Down Under Centre grow into what it is today is testament to Wes and his teams vision and hard work, what they offer is unique in the UK and a business idea that has helped so many people fulfil their dreams and ambitions to work and live in Australia. An example of Wes Zandt going the extra mile, was just before we were due to emigrate, he made a special effort to put me in touch with some of his industry contacts so that we were given the best advice for banking and home removal etc, we received a fantastic personal service so thanks again Wes. I would honestly recommend anyone who is considering temporarily or permanently moving to Australia to use the Down Under Centre, they offer a wealth of services and the team are fully knowledgeable on all aspects of skills assessment and migration. Next time you are in Adelaide Wes I will shout you a beer!"